Lamar Miller’s hold of the Texans’ RB job is somewhat fragile. You don’t get a vibe that the Texans are attached to the guy long-term as their workhorse back. There have also been numerous concerns over the years about his ability to hold up to a full workload. This led D’Onta Foreman’s value to soar after he was drafted in the 3rd round of the 2017 draft. I also had high hopes and could see him stealing snaps from Miller. However, Torn Achilles injuries are absolutely devastating to players in all sports. As soon as the Achilles goes, so does all explosion. It’s often noted that it can be challenging to regain ankle range of motion and leg strength after an Achilles tear. Return to the same level of sports or exercise experienced prior to the injury is possible, but it is not guaranteed. Approximately only a third of professional athletes return to their form prior to the injury. We know that the other guys on the roster such as Alfred Blue are garbage. But, I’m interested in the Texans’ 2018 UDFA, Terry Swanson. I truly think he can make an impact in his rookie season, similar to Austin Ekeler did last year on the Chargers. By no means do I believe that Swanson will step into an every-down role in the near future. At 5’10”, 205 pounds, it’s unlikely that he will be able to fit that mold better than Miller. 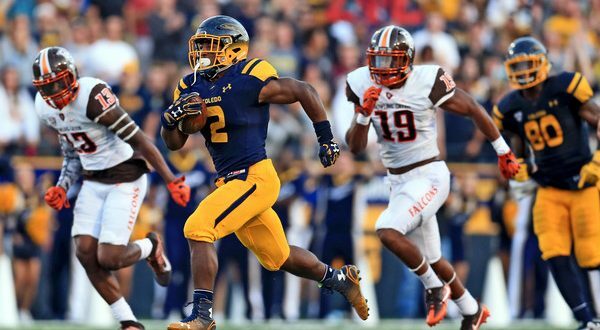 Albeit likely with a bit of bias, when asked by Nate Burleson who he thought would be a breakout rookie, Kareem Hunt answered Terry Swanson. At his pro day, Swanson exhibited a strong athletic profile. He had a 4.51 40-yard dash (which would have been 6th at the combine), and 24 reps on the bench press (4th at the combine). What I enjoy the most about Swanson is his vision and ability to break away. 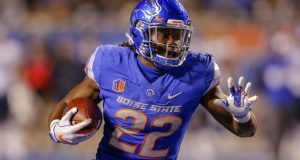 He averaged 5.9 YPC in his Senior year and his vision, speed, and strength lead me to believe he will complement Miller well in a change of pace role. In terms of efficiency, Miller had the worst season of his career last year. Opportunity is rising. Swanson reminds me of Jerick McKinnon. He may not profile as a prototypical workhorse at first but if he performs well in a complementary role as McKinnon once did, we may see him thrust into a starting gig down the road. Swanson doesn’t necessarily have the same draft capital behind him that McKinnon had, but the other similarities are glaring. Swanson has a price tag as close to free as you’re bound to get these days. 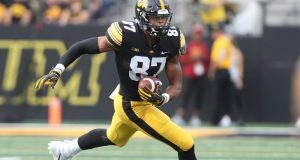 He is likely being drafted in the 4th round or later, and at that stage, there are few prospects that have such limited talent in front of them on the depth chart.